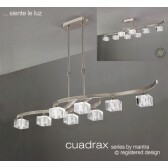 Another original design by Mantra combing straight edged framework and complementing curves and superb quality Square cut crystal glass shades. A fantastically priced collection without compromising the quality expected from a Mantra product. 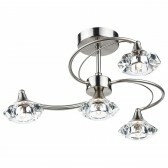 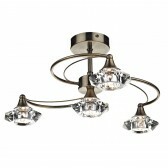 Also available in an exquisite Antique Brass finish. 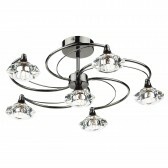 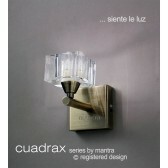 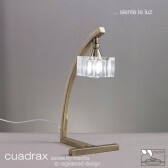 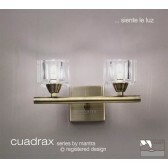 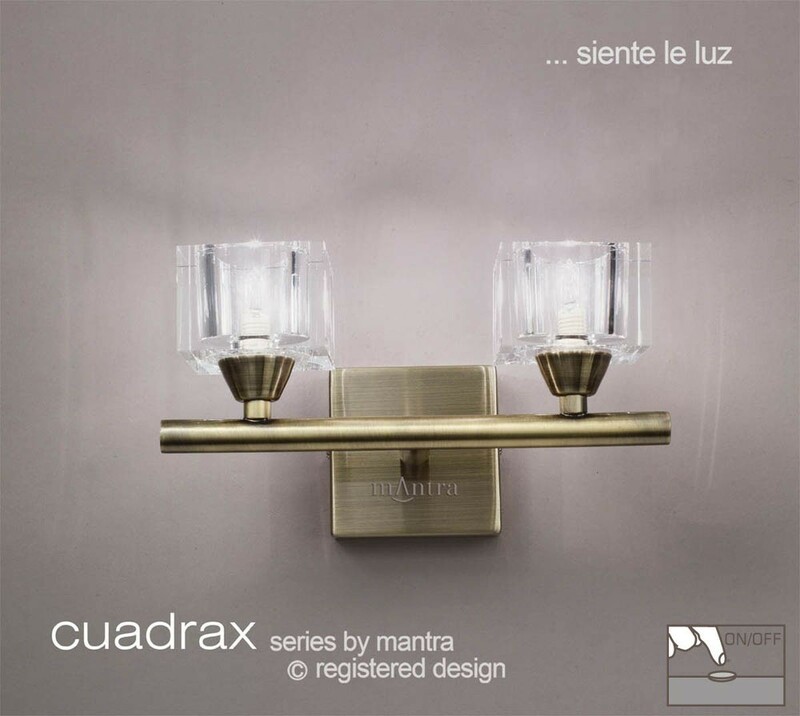 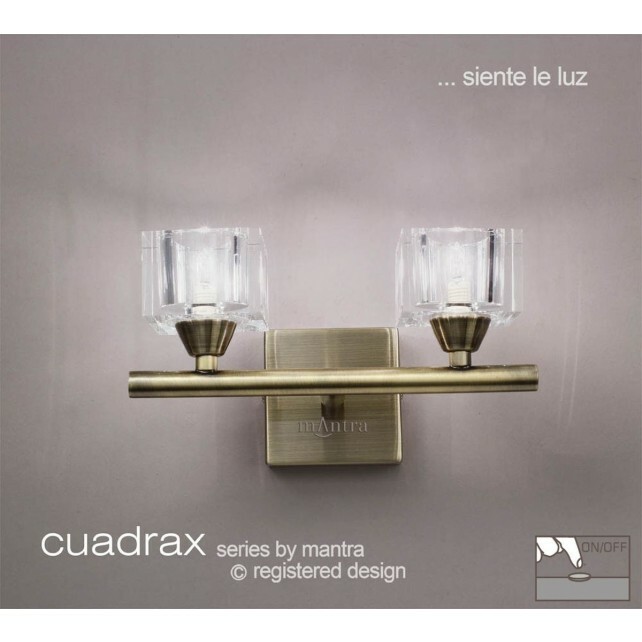 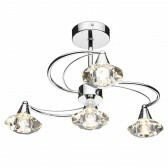 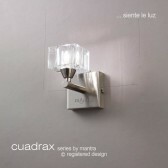 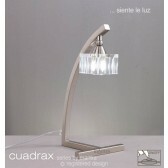 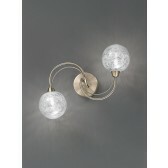 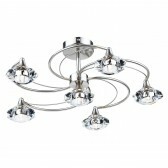 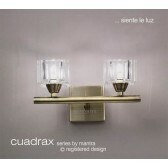 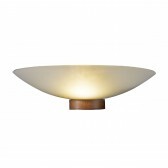 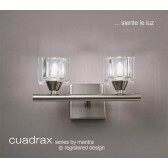 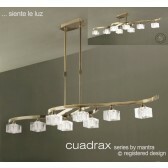 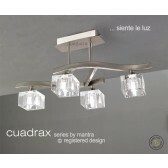 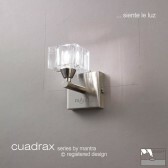 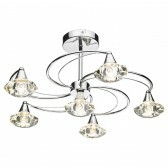 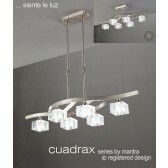 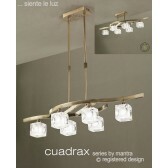 Cuadrax Telescopic Pendant 8 Light Antique Brass. 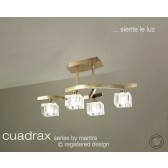 Convertible To Semi Flush (Short Rod Included).